Now that we’ve been in Paris for over two weeks and are well past the jet-lag stage, we’ve developed a daily routine that suits us both. My husband starts out the day by walking around the neighborhood. Paris’s fourteenth arrondissement is a long way from the last French town we lived in: Bédoin, population 3,000. In fact, Montparnasse, as it’s called, is one of the most populous districts of the capital, being home to about 135,000 residents. So there are lots of streets for him to explore. 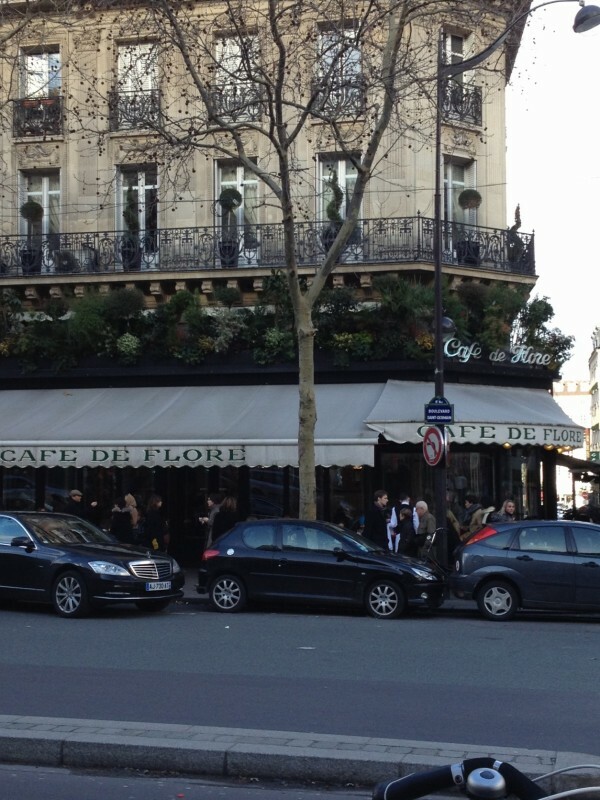 Mostly, he wanders around, keeping an eye out for good-looking restaurants and boulangeries (bakeries) while he’s at it. Some mornings he brings back croissants or other treats for breakfast. Being sluggish in the early hours of the day, I normally take my time getting up, read my emails, and might catch part of Télématin, a televised news and entertainment program along the lines of The Today Show. The rest of the morning we get down to work. Since both of us have writing projects which require lots of reading and quiet concentration, we hole up in separate areas of the apartment. Hubby settles down at the desk in the bedroom and I gather my books around me on the couch in the living room. Sometimes, like today, I spend a few hours getting ready to post a blog. We might take little breaks within the 3 to 4 hours until lunch, but generally we prefer to mettre le paquet, as they say, give it all we’ve got during those morning hours. After lunch, we head out. Normally, we have an initial destination in mind. Perhaps we search for the residence of some famous American expatriate from the 1920s and beyond (Gertrude Stein, Richard Wright, F. Scott Fitzgerald…) or a well-known bar frequented by literary or political figures of the past (Café de Flore, Café Tournon, Closerie des Lilas), for example. We check to see if there’s any kind of white plaque or brown historical marker indicating who spent time there. Then, we just stroll around. As you can well imagine, Paris is filled with history and architecture of all kinds. References to both world wars as well as the Franco-Prussian War are plentiful, of course. We also come upon interesting statues and fountains, like the celebrated nineteenth century Balzac by Rodin, practically in our backyard on the Boulevard Raspail. But there are also more recent ones like at the Place du Québec, a fountain symbolizing ice breaking up on the Saint-Laurent River in spring. If the weather isn’t too cold or rainy, we usually spend about two hours walking around. No need for trips to the gym around here! 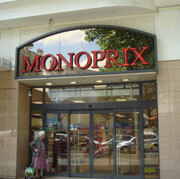 On our way back we often stop in at Monoprix, a combination department store and supermarket very conveniently located next door! It’s a good thing, too, since we’re usually pretty tired from our excursion and are ready to relax a bit and get supper going. At night—as is often the case at home—we search for something decent to watch on television. If the offerings are really bad, there’s always the station devoted to Cuisine on channel 73. There you have it: a little glimpse into our life in Paris.